The phone sports a 5.0 IPS display size at 480×854 pixels resolution. In terms of body design, it has curved edges and measures at 145×72.6×9.7mm in dimensions. Meanwhile, there is no Iris or fingerprint scanner embedded in the phone. It comes in four color options - Graphite, Silver Grey, Champagne. 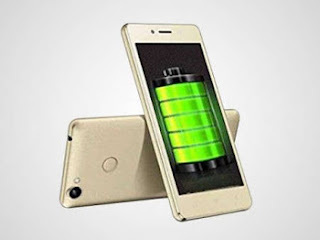 Honestly, I don't know why Itel always stick with 1GB RAM; I mean, most of their phones rotates around just 1GB RAM and they repeated the trend on this Power 4 Pro. Even the internal memory is also poor at just 8GB but can be expanded up to 32GB with an external microSD card. Now, talking about performance, I give them credit for using Android 7.0 Nougat on this one. Though its powered by 1.3GHz quad-core processor and the overall performance of this phone won't be as great as I would wish basically because of the small RAM and memory sizes. Itel really need to improve. 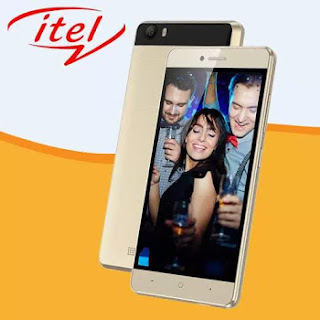 Itel Power Pro has 5-megapixel primary camera at the back and 2-megapixel secondary camera in front for selfies. Once again, these are not the best features one would like to have in a smartphone at this time when other brands are upgrading tremendously but considering the price of this device, I have nothing to than keep quiet and watch in 3D how things unfold. For the connectivity options and sensors, it has 2 SIM slot and one is 4G LTE enabled. Other connectivity options includes Wi-Fi, GPS, Bluetooth, FM and 4G. And yes, this model supports OTG reverse charging. Meaning, you can charge other phones with this device. Now here is just one of the few features I admire in this iTel Power Pro Smartphone. The phone uses a massive 5000mAh non-removable battery with USB OTG support that allows you charge other phones with it hence making it a power bank. In Short, the itel Power Pro has pros and cons in terms of its features, while the phone boasts of some good specs like the Android 7 Nougat, Bigger battery, OTG support and 4G LTE Network compatibility, it also possesses some low quality specs like poor processor, memory, camera and absence of fingerprint scanner. Nevertheless, it's an average-decent smartphone with its price tag.